A few weeks ago, I was lucky to get a chance to have a master class with Suzanne Berne, a novelist and nonfiction writer, who was visiting George Mason University. In Berne’s nonfiction book, called Missing Lucile, she writes about her search for a grandmother she never knew, a mother her father never knew: her grandmother died when her father was a little boy. And she does, in my opinion, a really amazing job of letting the reader know when she is imagining something about her grandmother. She also did an astonishing amount of research about the locations and places and people surrounding her grandmother’s life. In the master class with her, we talked a lot about writing about the distant past—the past you weren’t there for—in nonfiction. We talked about imagining, but letting the reader know that you’re imagining a scene or an event or a conversation, letting the reader know that whatever you’re imagining didn’t actually happen. I always feel as if I have a hard time writing about things I imagine when I write nonfiction, and I’m curious: Do you write about the past you weren’t there for in nonfiction? How do you handle it? 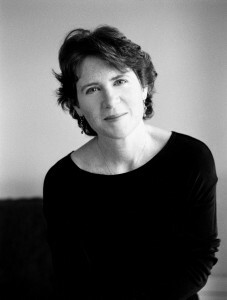 Leslie Maxwell is the nonfiction editor at Phoebe. I’m a Certified Genealogist who specializes in writing family history narratives and coaching writers on how to write about their ancestors and the distant past without fictionalizing. Depending on the records an ancestor created and that have survived, a nonfiction writer can legitimately dramatize scenes based on accounts in newspapers, military records, court documents, diaries, letters, and other records. When we can’t be certain about an ancestor’s life, we research the historical context to reveal the typical experiences of people like our ancestors. Through speculation, then, we can envision what our ancestors’ lives were probably like. Thanks for mentioning Suzanne Berne’s book. I’m looking forward to reading it. I’m always on the lookout for good nonfiction narratives about the past to recommend to my clients and students. Author of You Can Write Your Family History and “Family History Narrative: Genealogy Finds Creative Nonfiction,” Creative Nonfiction 41 (Spring 2011): 66-68. Sharon, thanks for your note! I like, in your piece, how you talk about what it actually means to put your family in a historical context. I also like this tip that you give: “To ensure you’re staying within the realm of nonfiction, whenever you write a statement of fact, ask yourself, ‘How do I know this? '” It seems like a good rule to go by. And I appreciate that you use speculation. It seems like a helpful technique. I’m curious: how do you balance fact with speculation? Thanks for your question. Balancing fact with speculation is tricky, and I think it’s something you eventually develop a feel for the more you write about the distant past. Too much speculation has the potential for crossing into fiction. You balance the two by making sure you’ve done exhaustive research both on the person and everyone the person might have come into contact with, as well as researching the typical behaviors of people of the past. Speculation should be based on sound research and historical fact, not created out of thin air. Of course, new research tomorrow, next month, or most definitely after the book’s been published, could change what you’ve speculated about today. That’s why there is more than one biography of George Washington, Benjamin Franklin, or any number of people. There is no final word when you write about the past. New records come to light everyday, as well as new interpretations of those records. We can speculate based only on our present-day knowledge and research. Sharon, that makes a lot of sense. Thanks for responding to my question! It seems to me that you’re right on when you say that too much speculation has the potential for crossing into fiction. Have you read the new Ann Beattie book, Mrs. Nixon? I heard her read the other week, and she does some of this imagining, too, in the book. I haven’t read it yet, but it’s on my list! It seems that she uses her own life to sort of imagine scenes of Pat Nixon’s life. It sounds really interesting! I also appreciate your statement that there is no final word when it comes to the past — it’s what makes writing about both so challenging and so rewarding, methinks! I’ve not yet read the new Ann Beattie book, but will add it to my list as well. 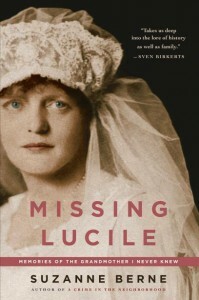 I just received a copy of Missing Lucille and am anxious to start it. A recent favorite of mine is a historical true crime called Murder of the Century: The Gilded Age Crime That Scandalized a City & Sparked the Tabloid Wars by Paul Collins. It’s a well-crafted narrative nonfiction account, but what is so amazing about it is the author relied primarily on newspaper accounts to weave together the story.